The Autumn 2017 issue of the Journal of the History of the Behavioral Sciences is now available. Articles in this issue explore the history of the ambivert, the emergence of victimization surveys, the influence of Fred Keller’s radical behaviorism in Brazil, and ideas about mental evolution and unconscious memory in Victorian Britain. Full details follow below. Recently, attention has been drawn toward an overlooked and nearly forgotten personality type: the ambivert. This paper presents a genealogy of the ambivert, locating the various contexts it traversed in order to highlight the ways in which these places and times have interacted and changed—ultimately elucidating our current situation. Proposed by Edmund S. Conklin in 1923, the ambivert only was meant for normal persons in between the introvert and extravert extremes. Although the ambivert could have been taken up by early personality psychologists who were transitioning from the study of the abnormal to the normal, it largely failed to gain traction. Whether among psychoanalysts, psychiatrists, or applied and personality psychologists, the ambivert was personality non grata. It was only within the context of Eysenck’s integrative view of types and traits that the ambivert marginally persisted up to the present day and is now the focus of sales management and popular psychology. A special issue of the journal Personality and Individual Differences marking the centenary of Hans Eysenck’s birth is now available online. Among the many varied contributions to the forthcoming issue are a number of personal reminiscences of Eysenck and his influence, including ones from his wife Sybil Eysenck and son Michael Eysenck, both psychologists in their own right. Particularly interesting contributions to the special issue include an article and commentary addressing Eysenck and the question of his Jewish ancestry. Articles that focus on the history of Eysenck and his work are highlighted below. “Hans J. Eysenck: Introduction to centennial special issue,” by Philip J. Corr. 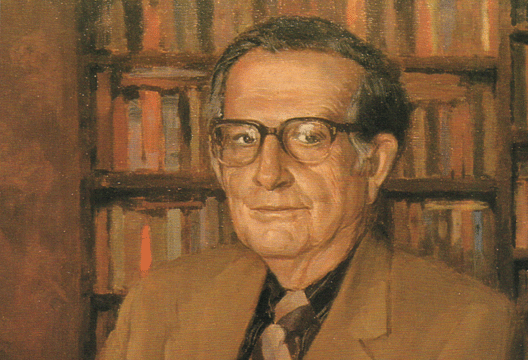 We present evidence establishing that Hans Eysenck was half Jewish. He went out of his way to conceal this fact and to disavow his Jewish ancestry until the publication of his full-length autobiography in 1990, long after he retired, when he revealed that one of his grandparents was Jewish. Using specialized genealogical techniques and resources, we trace his Jewish maternal grandmother, who died in Theresienstadt concentration camp in 1944, and his Jewish maternal grandfather, who practised medicine in Königshütte and later in Berlin. We discuss Eysenck’s possible motives for disavowing his Jewish heritage for most of his life. Several intriguing questions pertaining to Hans Eysenck’s family background were raised but only partially resolved by Buchanan (2010). Here I comment on the implications of the new genealogical evidence unearthed by Coleman and Frosch (2016; this Special Issue) in light of Eysenck’s life and career. Hans J. Eysenck (1916–1997) enjoyed an extraordinary life in British psychology, much of it played out in the limelight of public attention. His fame and influence extended beyond the shores of these isles, to encompass the globe. He inspired generations of psychologists, many of whom were enthralled by his popular books that made psychology seem so vital, relevant and even urgent. His was an open invitation: arise from the supine position on the analytical couch, leap out from the comfort of the philosophical armchair, and visit the psychology laboratory – one chapter in Fact and Fiction in Psychology (Eysenck, 1965a) is titled, ‘Visit to a psychological laboratory’. His easy-to-understand causal theories of ‘what makes people tick’ (exposing the inner working of the human clock) were especially fascinating to an inquisitive public. He also courted controversy: his style of advocating change and some of the positions he took, especially on politically charged issues like race and IQ, attracted criticism of his work, and of him. The full piece can be read online here. The May 2011 issue of History of Psychology, the official journal of the Society for the History of Psychology (Division 26 of the American Psychological Association), has just been released online. Included in this issue are a number of all new articles on topics including: the nature of coverage of the new psychology in the pages New York Times, the colonization of childhood via developmental psychology, William James on space perception and the history of the concept of regression. Also included in this issue is a teaching article on using history to illuminate the scientist-practitioner gap within clinical psychology, as well as pieces on the new Center for the History of Psychology, Roderick Buchanan’s reflections on writing a biography of Hans Eysenck, and news from the American Psychological Association’s Council of Representatives. Titles, authors, and abstracts follow below. Press coverage of psychology by the New York Times was examined for the Progressive Era. Following a period in which psychology was associated with spiritualism, psychoanalysis, and the Emmanuel movement, the Times gave editorial preference to reports about psychology’s applications. Reaching an audience that was both affluent and influential, the topics emphasized by the Times included the lie detector, psychological applications in the work place, mental tests, and child psychology. These areas reflected issues of social concern to Progressives, publicized the rise of the psychologist as expert, and aided psychology in its challenge to common sense.